Law firms and legal departments have been under increasing pressure to provide clients with alternative and fixed fee arrangements. The industry has shifted from regarding price as irrelevant to considering it a key aspect of attracting and retaining clients. Clients no longer want to pay for inefficiencies. They demand transparency and predictability. Accurately predicting the cost of legal matters, however, has been extremely difficult and the results largely unreliable, resulting in a great deal of risk for law firms. If you can’t confidently price a matter when bidding for work, how can you be assured you’ll be profitable? Firms without modern pricing strategies are in danger of falling behind. Pricing services appropriately and staying under budget can be straightforward. Legal Process Management (LPM) allows firms to confidently price matters in a way that achieves profitability. Kraft Kennedy can help firms with any level of experience get started. Kraft Kennedy employs a methodology that consists of several phases and incorporates best practices gleaned from over 25 years of working in the legal vertical. Our approach includes analyzing historical and current billing information, resulting in a report on how to track this data to ensure profitability. Many firms have the data but aren’t sure how to use it to support alternative billing arrangements. Kraft Kennedy also designs streamlined workflows that increase efficiency and provides practice groups with a client communication matrix that sets expectations for matters to prevent write-offs and out-of-scope work. Firms receive formalized processes and standardized operating procedures that eliminate unpredictability. Following the analysis and process design phases, our experts coach legal teams on how to implement the new streamlined workflows, addressing time entry, risk monitoring, client communications, and more. See where your firm stands with our Legal Process Management Readiness assessment. Give your Stakeholders the right information on Legal Process Management. Begin with an onsite presentation of LPM processes: How to integrate them within your firm, understand where to start with in-house resources, and get from A to B. Complete a 360 degree analysis of past and current billing information to determine which engagements are truly profitable, how the firm can track profitability going forward, and what phases and matter types can benefit from a fixed fee arrangement. Consulting to identify and create a matter statement of work unique to a specific practice or matter with the goal to clearly document and identify scope, risks, and assumptions while defining client communications to reduce write-offs and maintain strong client relationships. Detailed design and planning sessions to review current matter workflow and practice processes. We will document and refine matter processes to maximize workflow efficiency to support alternative fee arrangements. Learn about our Legal Process Management Readiness offering. Set the Foundation for Legal Process Management: A 3 Part Series featuring Natalie Alesi. Watch the video below to find out more about legal process management. 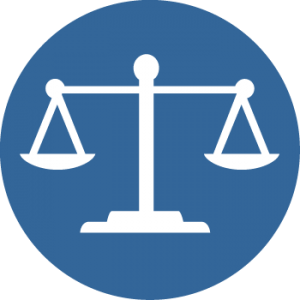 What is the difference between legal project management and legal process management? We discuss this question and more, including the phases of an LPM project, the processes involved in managing client matters, and how your firm can begin to prepare itself for LPM. Read about how Kraft Kennedy is innovating in LPM. 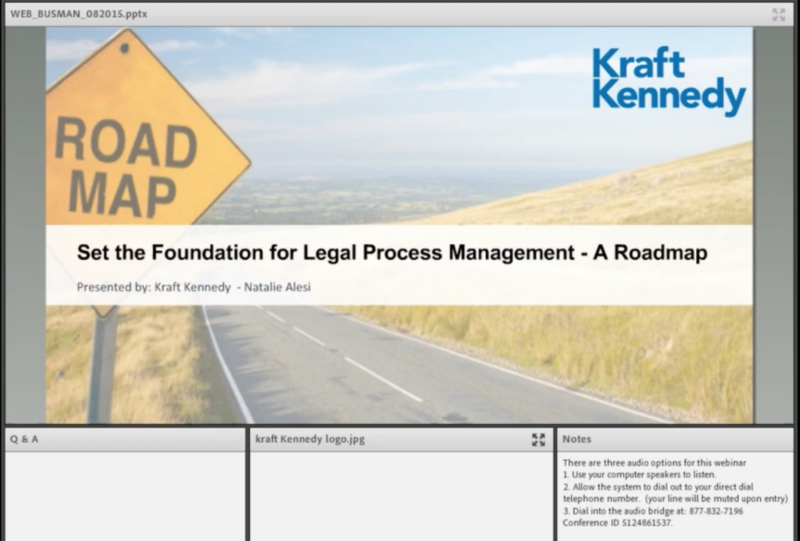 “Kraft Kennedy, a leading IT and strategy consulting company, has announced the launch of a Legal Process Management (LPM) practice. The new group specializes in maximizing profitability and streamlining workflows for law firms and corporate legal departments.” Read more.